Looking for a way to make carrying your blades around with you easier? 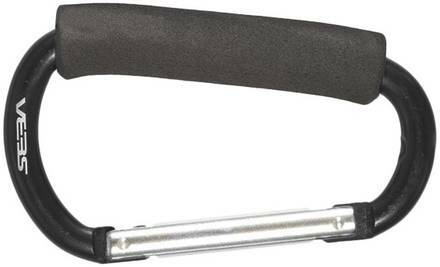 This carabiner can be used as a handle or hanger, with soft foam padded handle and an extra large spring-action gate loads easily and locks securely. A must-have if you have skates with carry straps in the back. Will make it so much easier to carry your skates around, or you clip them onto your backpack!